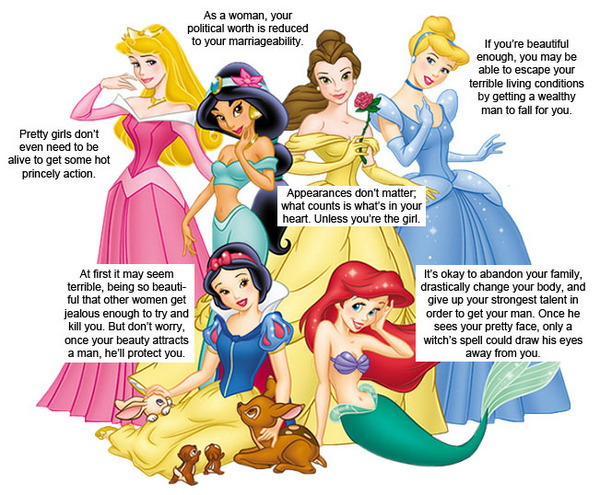 I'm sure by now you all are aware of the fact that I HATE the Disney Princesses. I dislike them for several reasons but these two pictures are definitely a start. Then of course there is this video. 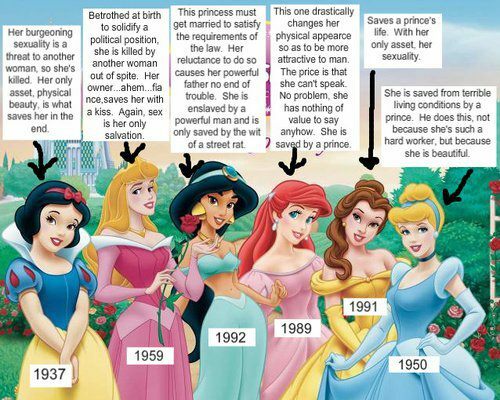 She is rambling a bit but the VALID POINT she is making is that the Disney Princess's sell UNREALISTIC expectations to children and promote prejudice.